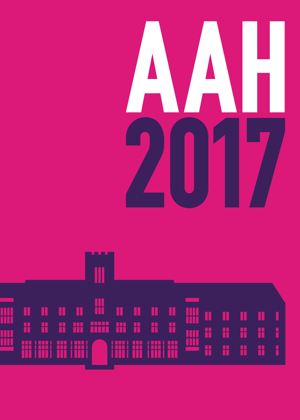 Annika Hossain und Helena Schmidt präsentieren einen Beitrag aus ihrem Forschungsprojekt Zwischen Wissen und Kompetenz – Kunstgeschichte am Gymnasium an der AAH2017 Annual Conference und Art Bookfair vom 6. – 8. April 2017 in Loughborough. In the Swiss Canton of Bern the emphasis on art history in secondary school art education is exceptional in contrast to the other German-speaking cantons, where the term «art history» can hardly be found in the curricula and art teachers’ education does without any academic art history training at all. What historical developments have led to the strong emphasis on art history in Bern secondary school art education? And what implications does the emphasis on art history have for art education teaching practice in Bern Gymnasia? In this paper we focus on the changing role of art history in secondary school art education in the Canton of Bern from 1994 to today, retracing the decisive impact of the Bologna reform. Methodologically, it combines an archival data analysis (art class curricula) with oral history (interviews with secondary school art teachers). Our study is led by the assumption that the history of Swiss secondary school art education can be approached by an analysis of the part art history plays within it. In addition to the structural implementation of art history in art classes, the research principally strives to reveal prevailing concepts of art mediated in Bern Gymnasia.